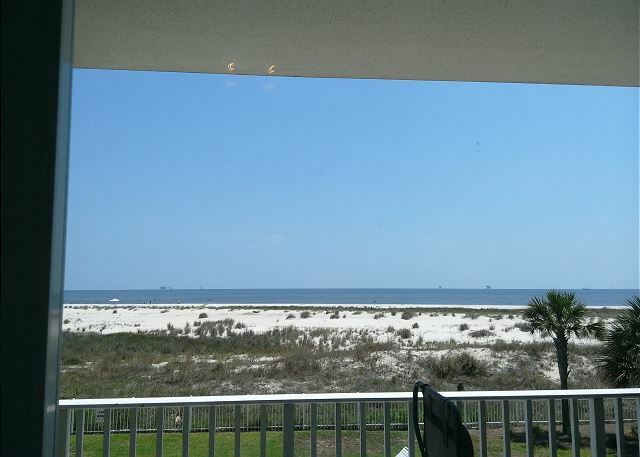 This beautiful 2 bedroom, 2 bath condominium overlooks the Gulf of Mexico, and is the perfect getaway for you, you and that special someone, or even your family! Fully equipped kitchen including refrigerator, stove, dishwasher and microwave. King size bed in master bedroom. Garden tub in master bathroom. TV and DVD in living room. Carpet in bedrooms, Ceramic tile in Living Area. Condo was Clean and comfortable. Property management was friendly and efficient. Appliance were modern and operation without issue. View from room and balcony was beautiful and peaceful. Furniture and carpeting need updating. They were stained which took away from beauty of this condo. Patio furniture needs to be sprayed with new coat of paint. We loved our condos and locomotion. Our oldest daughter loved the pool, and since there were 2, there was plenty of space for her and others to swim. Staff was also quick to answer questions and return calls. We absolutely enjoyed our time spent here! It wasn’t crowded at all. All the locals were extremely helpful answering any questions we had. Awesome places to eat there! This unit is awesome. And the staff was very pleasant and helpful. Good appliances and kitchen cooking equipment .. not so many...limited amount... but adequate. A few suggestions... living room furniture needs replacement. Needs to be replaced with FIRM and SUPPORTIVE couch and chairs. They do have a recliner and it is firm but the leather has seen better days and is spotted and stained.. we are flexible and were able to make it work for us. We know that renters are very hard on furnishings (we are the exception and treat others property with care and respect) and with that being said we enjoyed our stay. Carpeting (especially in the guest room) needs replacing or removal as it is stained and an eyesore for the unit. Hope to return to DI. Dishes were dirty in the cabinet. For a condo to room6 there were 3 wash cloths. Relaxing, Clean , and quite. Great location to stay. Very nice pool area. Really close to restaurants. Great setup for the entire family to feel comfortable. Perfect location on the beach!!! Wonderful family-friendly spring break destination! 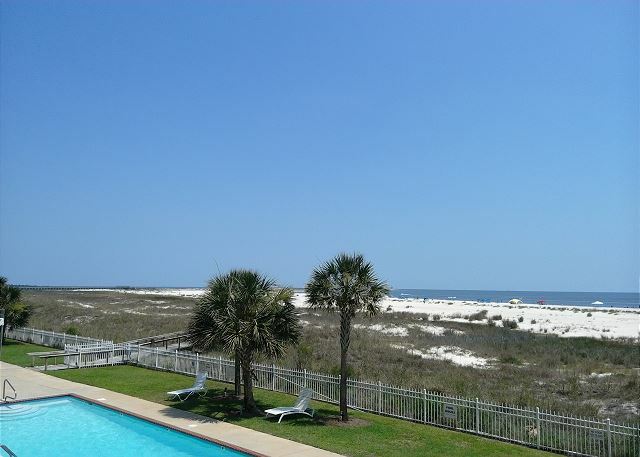 Our family stayed at this unit on Dauphin Island with our 2 children who will be graduating high school in May. The condo was very clean and well-maintained. The location was great -- the beach just footsteps away -- with access to 2 swimming pools (we definitely appreciated the 1 heated pool as it was chilly during our stay), and several restaurants on the Island. The only downfall with the property is the lack of a hot tub/whirlpool. That would have been the icing on the cake. Otherwise, we made wonderful memories!! Thank you for your hospitality!! 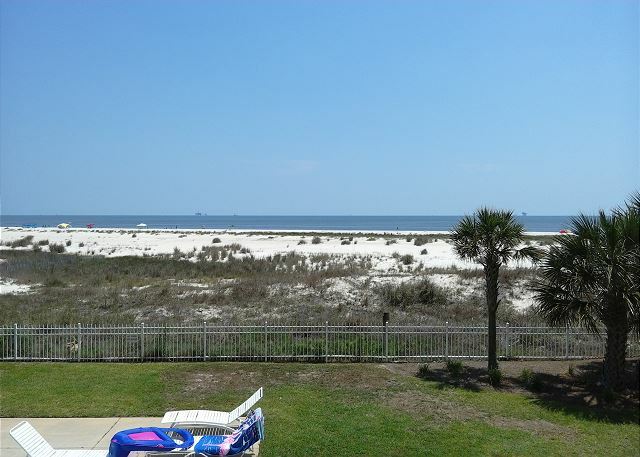 Great Affordable Stay at Dauphin Island! We were very happy with our stay. The condo has everything you need and is clean! Great price for the location! I would highly recommend. The Inn is perfectly located on the island. Steps away from the beach and you are close to the restaurants, some within walking distance. The pools are very nice and clean, nice break from the beach! This was our first trip to Dauphin Island. Not too busy, the beach was pretty empty most mornings. A couple families here and there during the day. I'm sure it is a little busier during the summer months. We checked out the Sea Lab and the Fort one day, good break from the beach especially for kids! As far as dining I would recommend to go shopping before getting on the island and plan to make meals at the condo. Dining options are nothing special. The Lighthouse bakery is worth a trip, cinnamon rolls and danishes were very yummy! JT's Sunset grill is good for typical fried fish and seafood options. Miguel's Baja n'Beach is a nice taco shop, to go orders only. The Islander is a nice place for dinner. Not sure if this is normal but we had issues with mosquitos, swarms of huge mosquitos. Would highly recommend bug spray. They were not an issue at the beach but going anywhere else was awful. We are Empty nesters- and we LOVE staying at the Inn on Dauphin Inland. This was our 3rd stay and will return very SOON. We loved the island and the The Inn. It was roomy, a great view, location. It does need new carpet in the bedrooms but overall it was perfect place to stay. Had a great relaxing weekend. Very pleased with the unit. 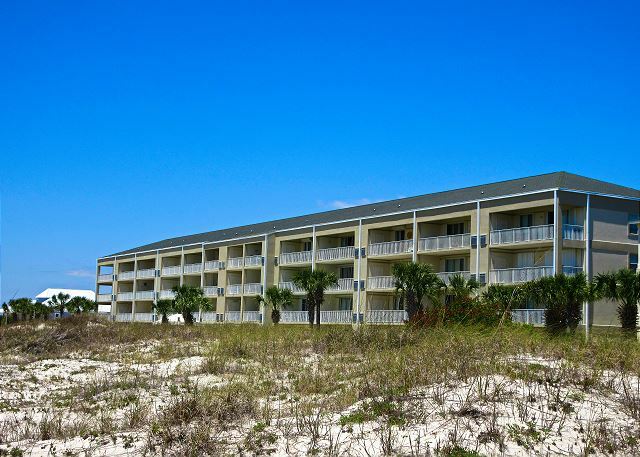 Convenient to the beach, well kept. Everyone slept well! We had a good time at The Inn. The staff was helpful and courteous. Our unit needs some updating and carpet cleaning AND a bigger table. #211 was very clean and well maintained. Staff was friendly and helpful. Our stay was very relaxing. Great second stay at a great property! My family and I love to get away to the beach. Here, the price is right, the condo size is great, we get a pool and a beach right there. 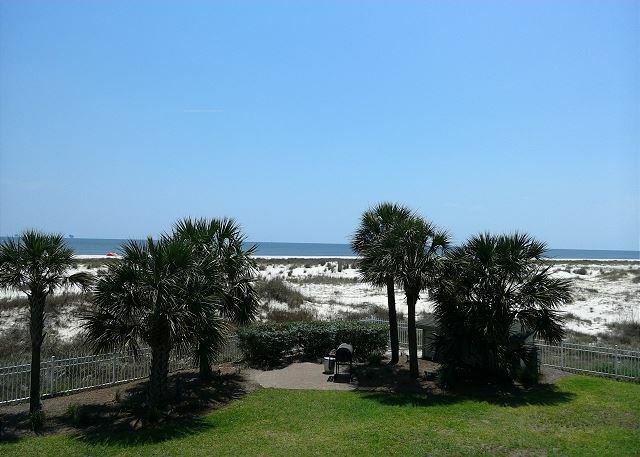 Add to that two bedrooms and two full bathrooms, and the slow-paced island atmosphere of Dauphin Island, and you've got a recipe for a fantastic getaway! This is our second Labor Day trip to Dauphin Island. It's beautiful and quiet. We love it! Our condo at the Inn was fantastic. My kids love the pools. The beach was really clean. We'll be back again! As parents of 3 children ranging in the ages of 13 to 22, we realize that a beach vacation is the best overall vacation to please all of our children. 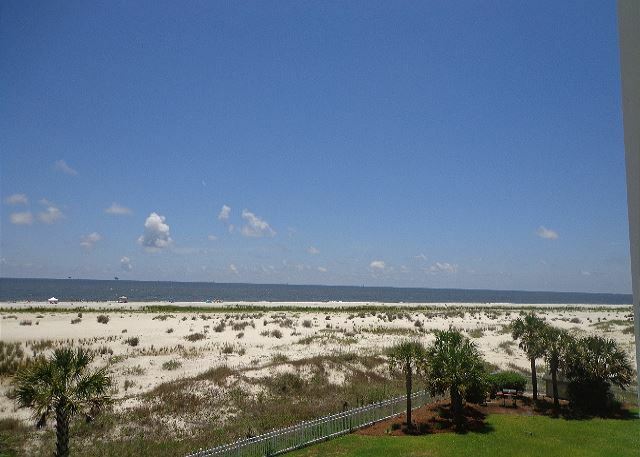 We always enjoy Dauphin Island! The beaches are beautiful and the vacation is relaxing and fun, without the hassle of traffic and tourist traps! It is where we enjoy making family memories! The condo unit itself was very clean and clearly updated fairly recently. It was an awesome week! This was our first time to Dauphin Island and we love love loved it!!! The unit was clean and well equipped. The staff was wonderful and very friendly, cant say enough about them. Will stay here again. Thank you had a great time. The rental unit (2 bedrooms & 2 bathrooms) was incredibly spacious and clean. 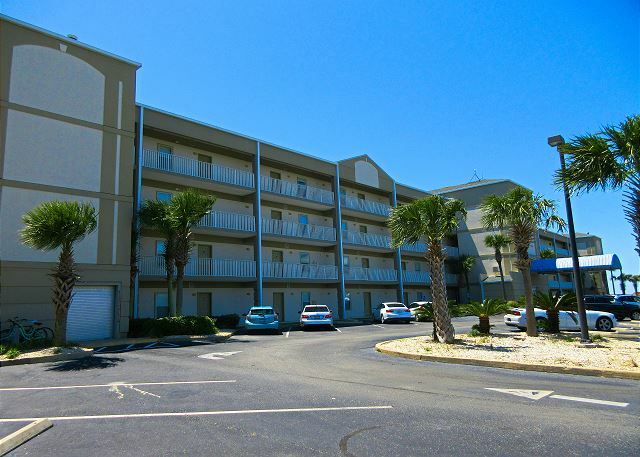 The convenience of the washer/dryer in the unit was convenient for cleaning towels, beach towels and swimsuits. This was our third stay at The Inn and we plan on going back. Exceptionally clean and beautifully decorated unit. We truly enjoyed our fall get away. 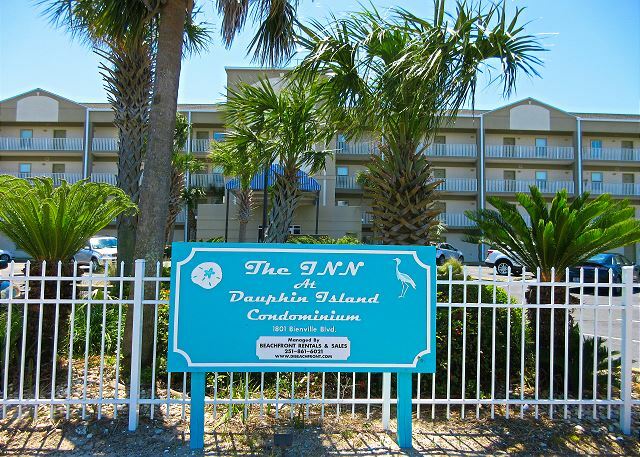 We recently visited Dauphin Island and stayed at The Inn of Dauphin Island. The Condo was very nice. The extra that were included made our stay very convenient. Everything was ready for us when we arrived. I was disappointed that the pool was not as clean as I would have anticipated. Although it was a pretty good walk to the beach, the beach was beautiful. We enjoyed it every day. The property was quiet and peaceful--we enjoyed coffee every morning on the balcony. location and cleanliness. The staff was great. are overlooked because it happens often to us. I wish the little things like a DVD player were checked to see if they were in working order. Other than that one small thing, which was not small when we all settled down late to watch a movie and couldn't, but it did not keep us from having a good time. Thanks to the staff for their courtesy.